To send them an E-mail just click on their names! Mato is police officer from Croatia (Zagreb). He serves like platoon commander in Zagreb Riot police unit. Mato is radio amateur with call sign 9A3SM Štefan is police officer of maritime police unit, based in city of Kopar, Republic of Slovenia. 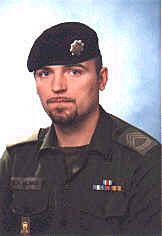 Stefan write a book about Slovenian maritime police history. He want to collect at least one item from any state in the World. Mato collect police insignia (badges, cap badges, patches and ranks from all over the World). 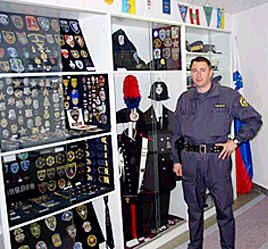 Stefan collect police items worldwide, mostly badges, patches and some selected hats. Especially interested in items from African, Arabian, Asian, Latin America countries. I am an sgt. 1st class with City of Novi Sad PD, Serbia, and former member of PJP (Special police units), with 16 years in blue uniform. 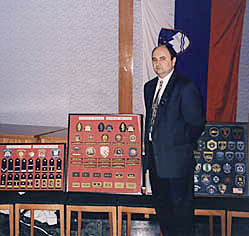 I collect military insignia from all over the world, especially USA and all former Warsaw Pact countries. Please have a look at my web page. Boris collect police insignia (badges, cap badges, patches and ranks) from all over the World. I am a retired police officer from Lithuania. I served as a Police officer for 23 years, the last 5 years I was Head of Šiauliai City Traffic police ( commissar). My greatest wish is to have at least one insignia from each country of the world. I am collector of hats and patches from all over the world. I'm interested in any police patches worldwide. I collect police badges, hats, patches and pins. I work for the US Border Patrol. 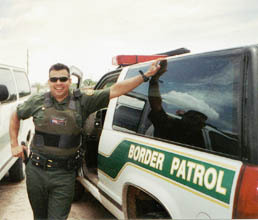 I was with the US Army MP for 8 years and when I was done with my military service I joined the USBP. I have being working with them for 5 years. I collect police and military insignias from all over the World.